Encore Ceramics is owned and operated by Debbie and Barry Russell, who bring more than 40 years of combined experience to the ceramics industry. Leading the way in moving tile from a function to a design statement, their unique process blends the recycling of all raw materials until they become a beautiful finished tile, as well as the invention of unique and innovative products against the backdrop of an evolving manufacturing process. Encore ceramics is one of the best quality tiles you might ever imagine, Encore ceramics are made from clay, glaze, water and other things needed as they are recycled back to their unique production process until a beautiful and unique tile is produced. Tiles are affordable fixtures. The only time you spend for them is when you purchase and install them. After that, all they need are occasional upkeep to keep their design from fading. Tiles do not need refinishing, resurfacing, or recoating. They can make old house surfaces look brand new. Encore Ceramics is suitable for kitchen countertops. The focal point of any kitchen is a beautiful countertop. 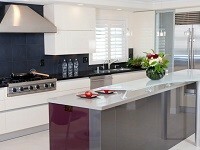 Encore Ceramic tile is perhaps the most suitable option for kitchen countertops. Encore Ceramic tile is also ideal for countertops. In addition, ceramic tile countertops form smart alternatives to kitchen remodeling and cabinet re-facing projects. Encore Ceramic tile countertops are now available in a range of colors, textures, patterns, and shapes. Encore Ceramic tile countertops are resistant to heat, scratch, and stain. Cost-effectiveness, durability, and versatility are their other advantages. Floor tiles made of natural stone, ceramic, and other modern materials can make any washroom look new and inviting. If you plan to renovate this area, include tiles in your priorities. You can find many ways to restore a bathroom but few components offer tiles’ flexibility and low maintenance requirement. If you are building a new house, however, research on the latest tile designs on bathrooms, pool areas, kitchens, and other parts of the home. Encore Ceramic and natural stone are ideal for bathroom tiles as it offer flexibility in installation layouts. Westside Tile and stones offer customized styles that fit every application. If you choose tiles, your design choices become numerous. If you get your product from us, you can be sure you can get quality products. Keep it in good condition as these can last long. Another advantage is tiles are made of low-maintenance material. Look for bathroom fixtures that match the color, style, and shape of your tiles. Some popular choices are ceramic, natural stone, and metal fixtures. Westside have tile designs made of these materials. 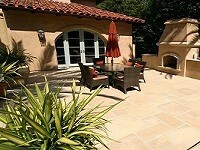 They have a relaxing look and can easily match tile color and design. Check Westside Tile and Stone’s encore tile and find your favorite ones. Many people prefer using natural finish sandstone tiles around their swimming pools, verandas, balconies and general outside areas because of the non-slip surface. When you are looking to buy natural finish sandstone tiles to go around the swimming pool area, we have the quality tiles you are looking for at an affordable price. Check our collections and choose which best fits your desires. If choosing the best encore tile has been a disaster for so long. With so many options to choose from and the huge array of color & textures available, it is very difficult to make one single choice. But, it will be not anymore as we offer the best floor tiles at Westside Tile and Stone you might ever imagine.